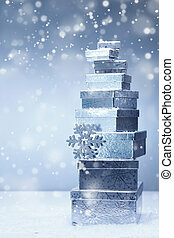 Christmas gift in falling snow. 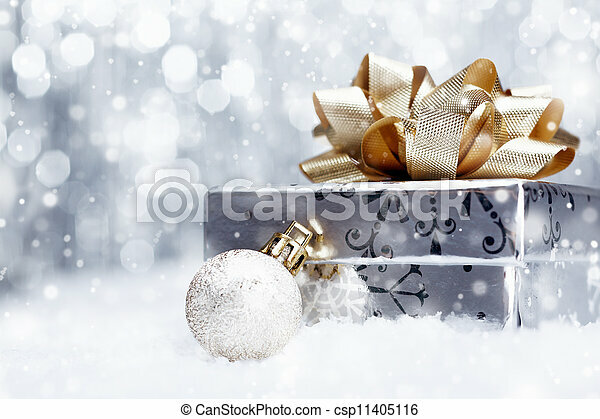 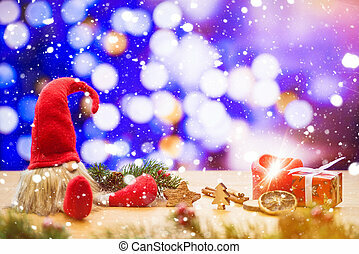 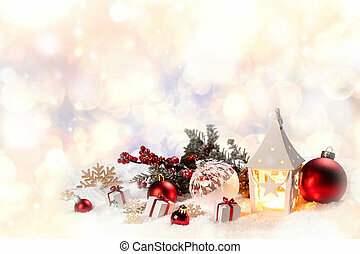 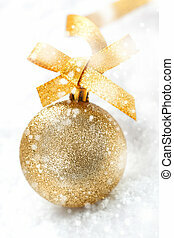 Silver christmas gift with a huge ornamental golden bow lying with a bauble on a bed of fresh snow with falling snowflakes and copyspace. 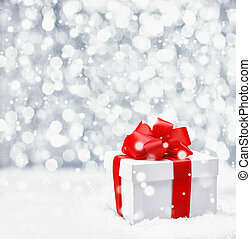 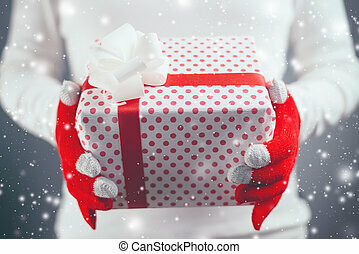 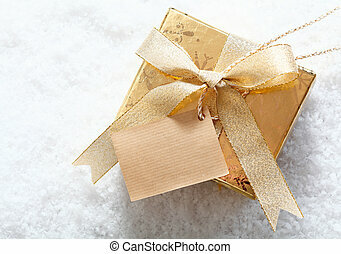 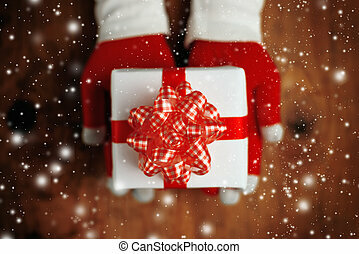 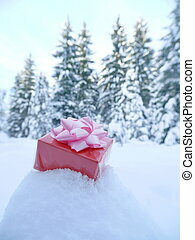 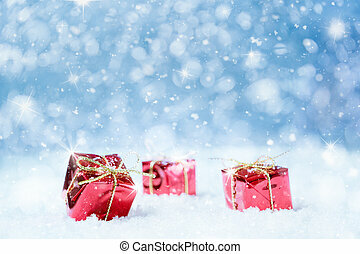 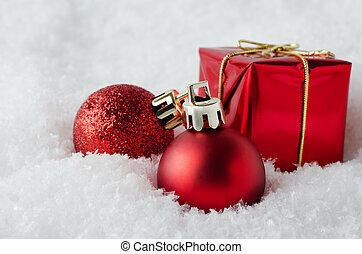 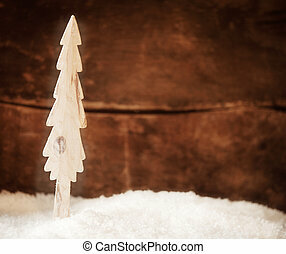 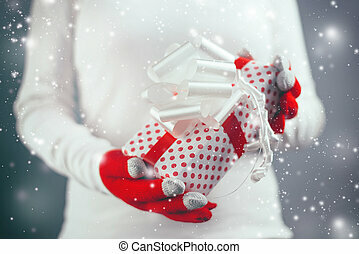 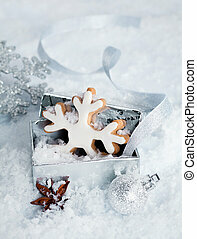 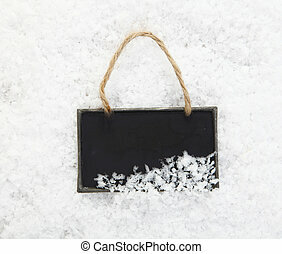 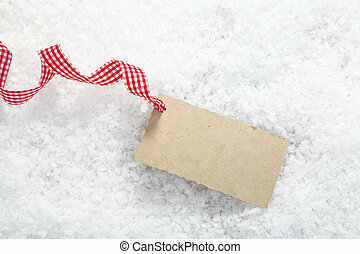 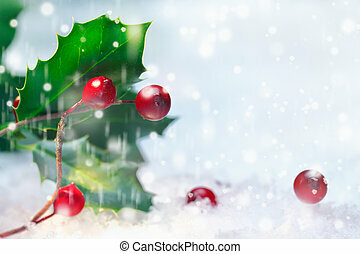 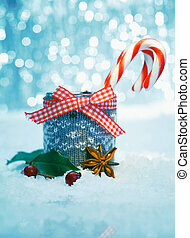 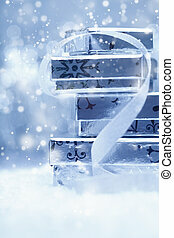 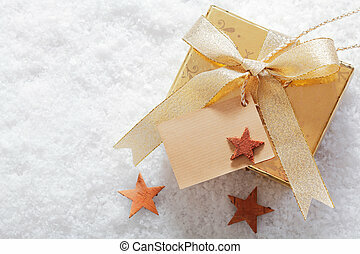 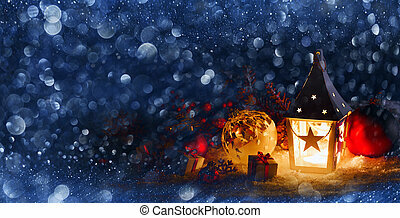 Gift with snow falling in the winter. 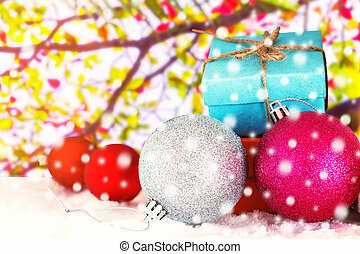 Red christmas presents with snow and stars on a blue background for a greeting card or voucher.Selected focus, narrow depth of field. 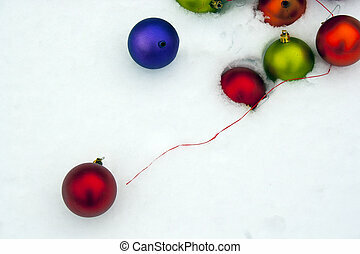 An arrangement of red Christmas decorations sinking into soft, white artificial snow. 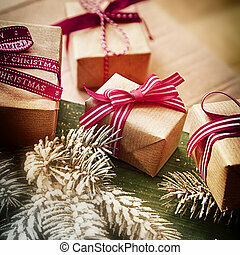 Includes glitter and matte baubles and gift box. 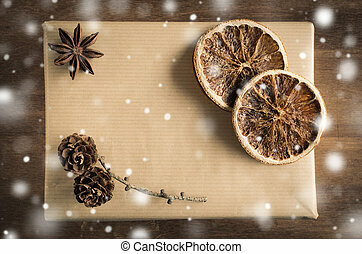 Vintage Christmas Kraft Gift Box in Rustic Style Decorated with Cones, Star Anise and Dried Orange Slices on Wooden Background. 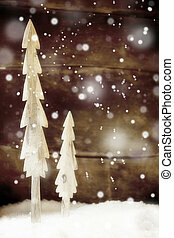 Snow Falling Effect. 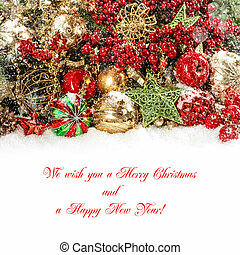 View from above with copy space. 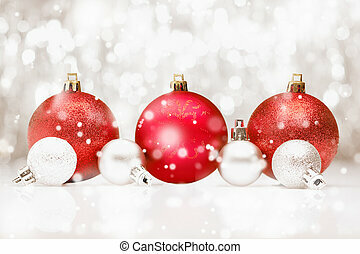 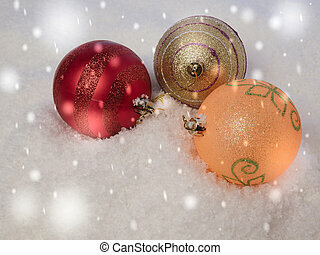 New Year's background of three different-colored Christmas balls in the snow.